Philly has a Cronut —and so much more. From Dominique Ansel’s game-changing cronut to the recently-trending sushi burrito, more and more people are going crazy for hybrid foods. If you’re looking to try some unique food combinations around Philly, use this guide as your starting point. An Asian fusion twist of an American classic, the ramen burger features typical burger fixings sandwiched between two fried ramen noodle buns. Makiman Sushi on 13th and Spruce serves ramen burgers with chashu pork belly, a sunny side egg, pickled vegetables and hoisin sauce. The pizza bagel is exactly what it sounds like: a bagel sliced in half then topped with melted cheese and pepperoni slices. While you could easily make your own using store-bought bagels, Spread Bagelry on South Street will do it for you on a freshly-baked Montreal-style bagel. If you still haven’t tried the sushi burrito at Hai Street Kitchen and Company, you need to make your way down to 18th Street in Center City ASAP. 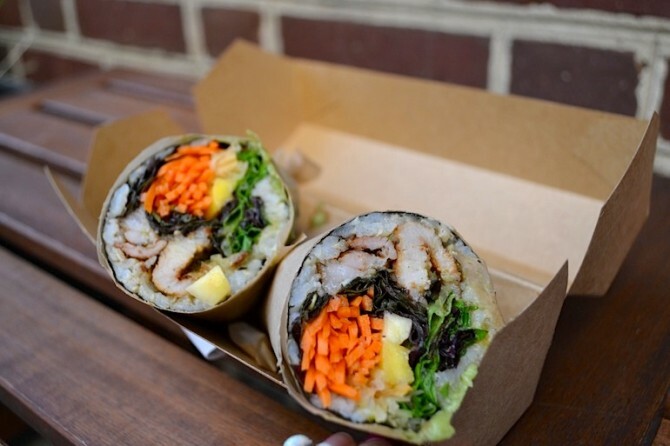 The sushi burrito perfectly packages classic sushi ingredients into a convenient burrito-eating experience. You can either choose a burrito from Hai Street’s pre-fixed menu or custom-build your own for a unique combination of Japanese and Mexican flavors. 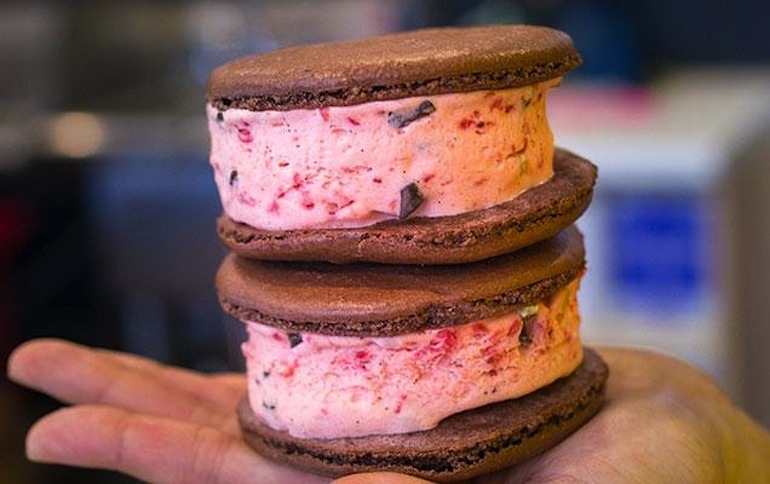 The macaron ice cream sandwich is a refreshing twist on the classic French macaron. Rather than filled with buttercream, custard, or jam, this hybrid dessert is stuffed with ice cream (obviously), making it a combo of two already perfect desserts. You can choose from a daily variety of macaron ice cream sandwich flavors at Audabon Bakeshop located in Chinatown on 11th and Race. Soup dumplings (also known as Shanghai dumplings or xiao long bao) are a must-order dish at dim sum restaurants. Although they are traditionally stuffed with pork and a chicken stock base, they can also be filled with crabmeat. 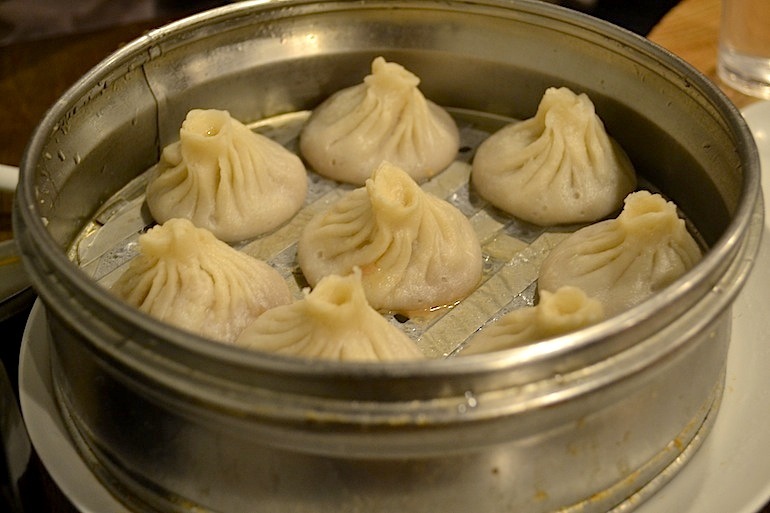 The most authentic soup dumplings are found around Chinatown (I personally recommend Dim Sum Garden), but if you want to stay closer to campus, Sang Kee Noodle House on 35th and Chestnut is also a good option. Whether you’re looking for an unusually decadent dessert or just another reason to love avocado, try a scoop of avocado gelato at Capogiro. Beware that Capo rotates its daily gelato menu, so make sure to check back if the flavor isn’t offered. Why eat pie when you could just as easily drink it? The idea behind pie shakes might sound strange, but pie shakes are dessert, and since when is dessert bad? The shakes taste delicious and come in many different flavors or health options. For the calorie-unconscious, Magpie on 16th and South Streets blends its pie milkshakes with a slice of homemade pie, a scoop of Bassett’s ice cream and some milk. 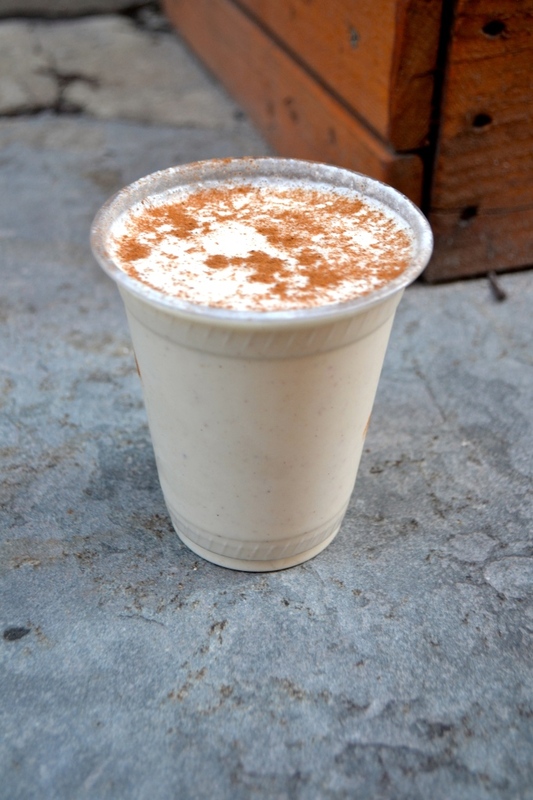 For the more health-savvy, Hip City Veg’s seasonal pumpkin pie shake and Pure Fare’s apple pie smoothie are just as decadent. By now, Dominique Ansel’s donut-hybrid croissant has become so popular that competing bakeries might not even be worth mentioning. 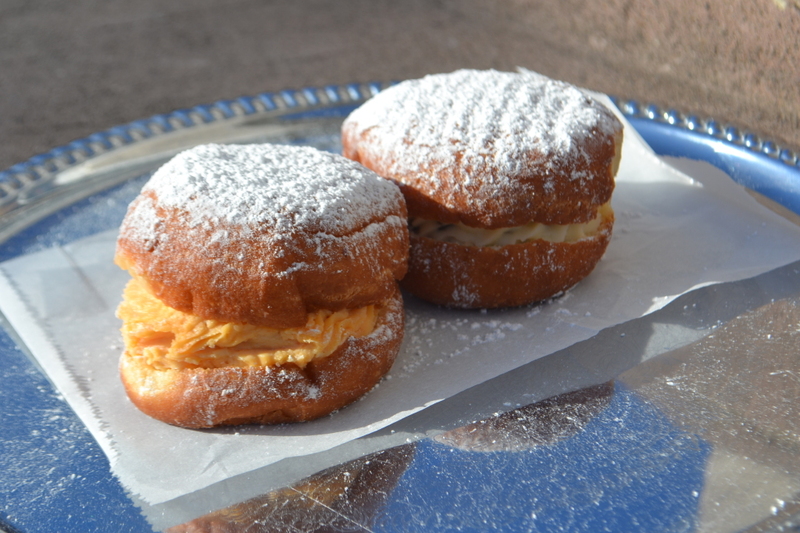 Regardless, if you’re in Philly and are craving a cronut, give the ones at Swiss Haus Bakery a try. What distinguishes a Swiss Haus cronut from a Dominique Ansel cronut is its deliciously sweet vanilla pastry cream filling. Enjoy different ways to get the best of two worlds in one bite.